Suzuki Mehran wins the best car award based on the cost of ownership in Pakistan! Buying a car is a hectic task, one has to consider many things such as safety features, performance, cost of ownership etc. while buying the vehicle. 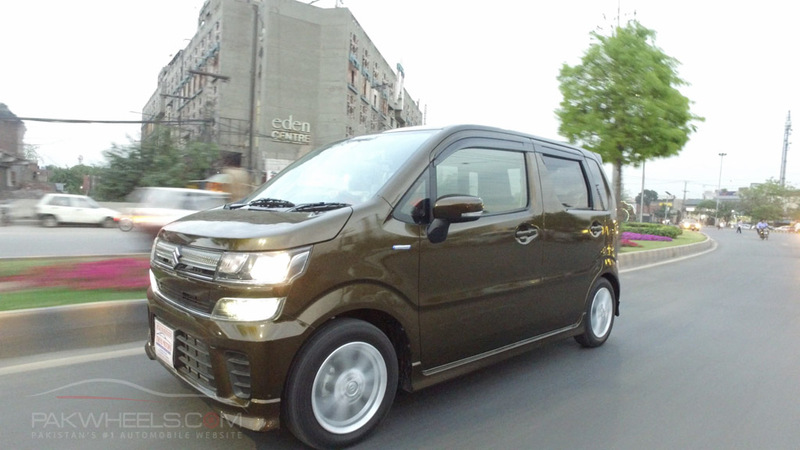 In Pakistan, the local auto industry is in the process of revolutionising itself with many new players entering the market, which will lead to a more diverse market; giving more options to consumers. PakWheels.com is Pakistan’s # 1 automotive portal catering to the needs of all kinds of consumers throughout the country. PakWheels.com is conducting an auto survey for many years now to get consumers’ insight regarding what they think about the current auto industry and their preferences regarding a particular brand. In 2017, PakWheels.com conducted an industry survey, in which many auto-related questions were asked from the car and bike users/owners. People voted for the brands as per their liking and preferences. One of the questions in the survey was about the best car based on the cost of ownership in Pakistan, and the majority of the respondents voted in favour of Suzuki Mehran and crowned it as the best car based on the cost of ownership in local category whereas, in the imported category people preferred Toyota Aqua. Read Also: Why Is Suzuki Mehran Still Popular in Pakistan? 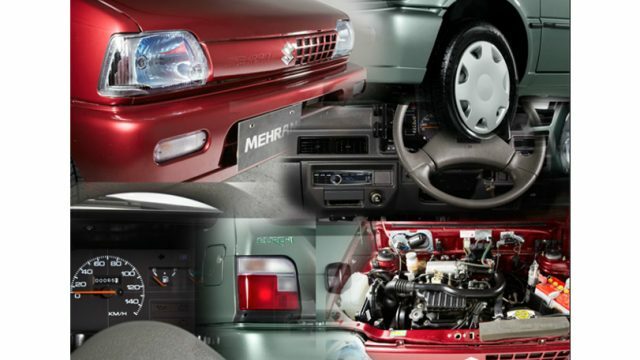 Pak Suzuki launched the first generation of Mehran in the country in 1989 and introduced the second generation in 2012 with EFI engine. In 2017, Pak Suzuki sold 42,985 units, making it the top-selling hatchback. Mehran comes in two variants VX and VXR. 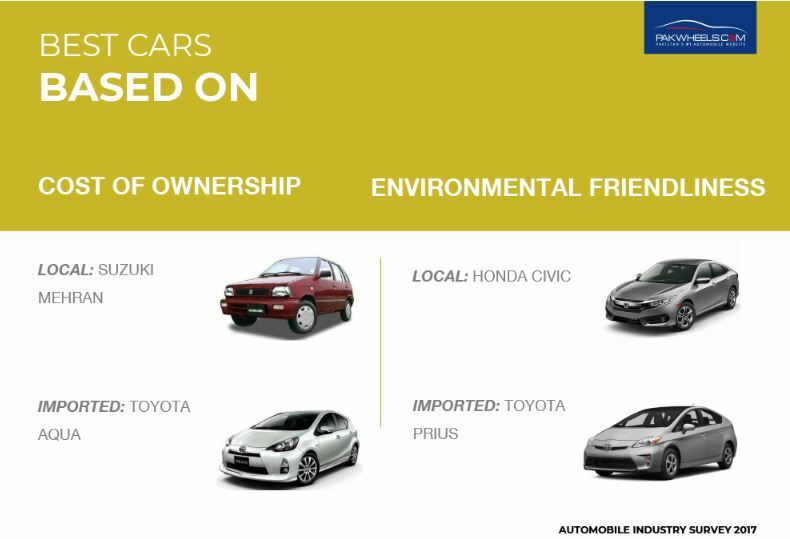 The car is loved by people because of its price, fuel efficiency, spare parts availability, cost of ownership etc. Moreover, it is important to mention here that Honda Civic has won car of the year award 2017. A total of 19,155 responses were recorded from all over the country. This survey covers the public spending habits, driving behaviour, expectations and routine practices in the automobile sector in Pakistan.